Acquired in the 1960s by the previous owner. The form of this divination bowl is unusual but is entirely consistent with Yoruba beliefs and spirituality. 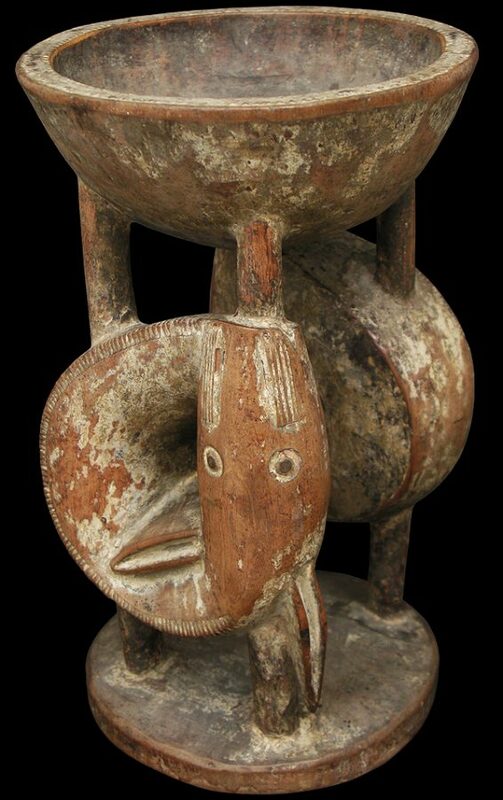 The supports of the vessel are in the form of two graceful coiled mudfish (egedu) with inlaid eyes and notched spines. 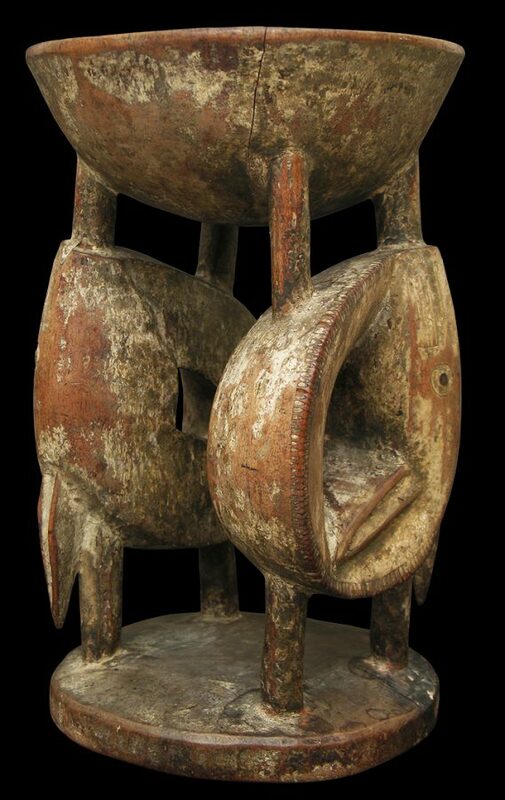 Each mudfish is supported by two cylindrical columns. The rim of the bowl is embellished with a band of notched triangles. 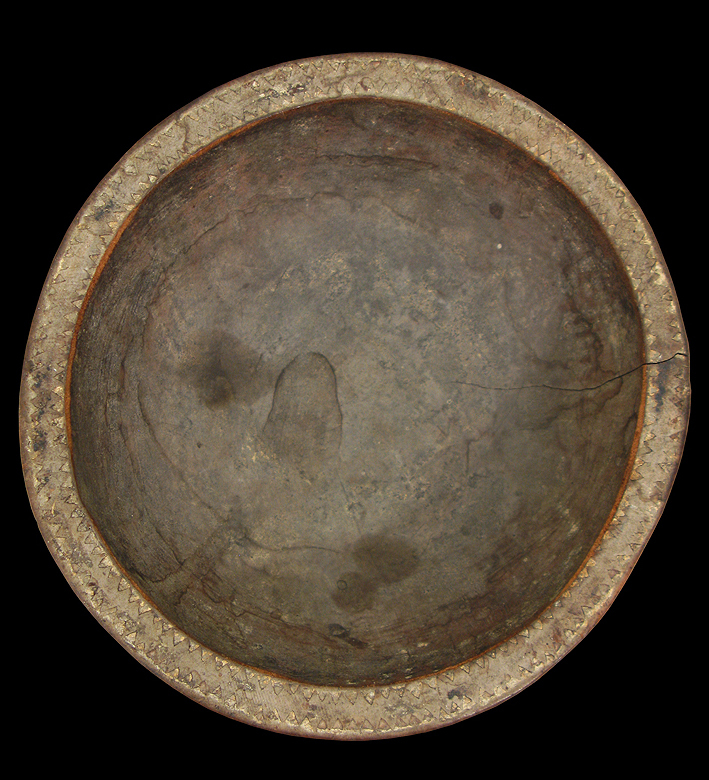 The bowl is painted in natural ochres, although mush of this has worn away from years of use, revealing the lighter wood beneath. 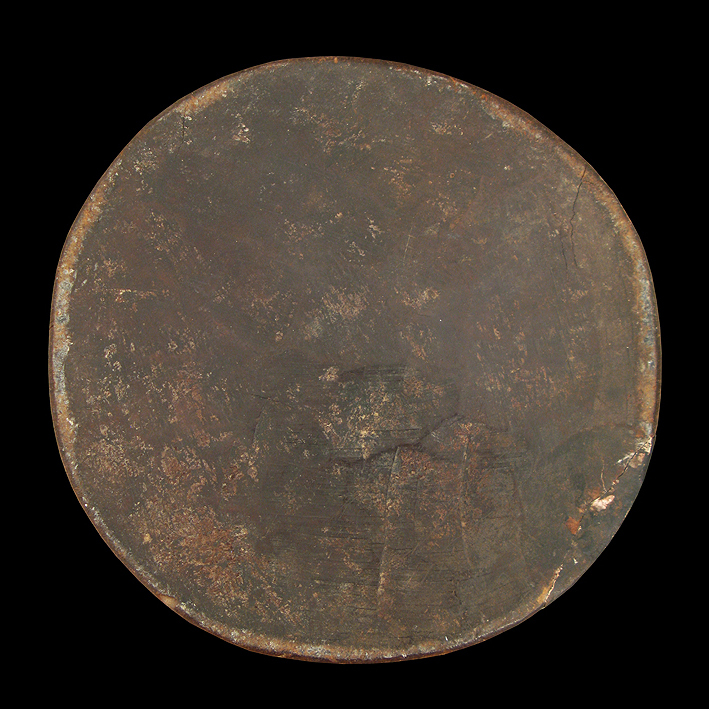 The underside of the base has a much deeper brown patina. The bowl also has rounded contours from use. The base has a small, old repair, and an old stable, fine crack runs through the bowl. 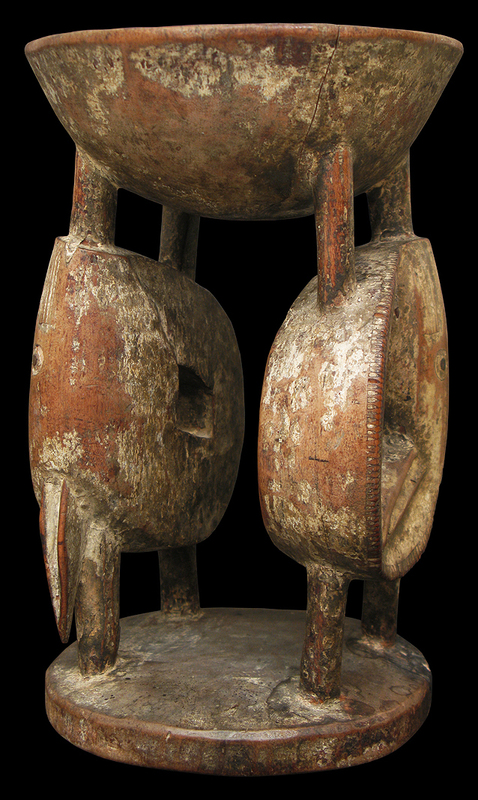 Although larger, this bowl is similar to one in the William A. McCarty-Cooper collection offered at Christie’s New York in 1992, which the ethnographer William Fagg attributed to Iseyin. The motifs employed possibly relate to the story of Erinle, a male hunter who was transformed into the river god. 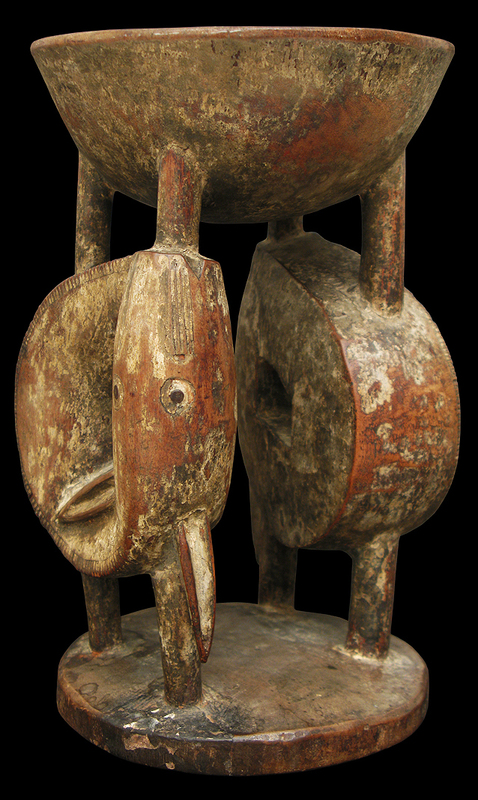 Olumole often employed themes that involved hunters in Yoruba mythology. 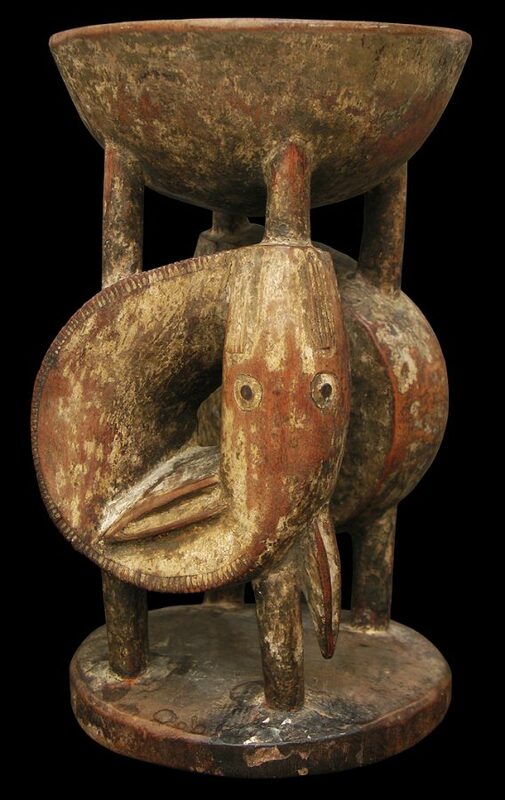 Mudfish are both mythical and real creatures to the Yoruba, due to their ability to move in two realms – in water and on land. In this way, they are an appropriate metaphor for use in a divination bowl which is used to summon spirits from the spirit world to provide guidance on practical problems in the here and now. Like the mudfish, the spirits traverse two worlds. Mudfish also have associates with wealth and the divine powers of rulers. Some mudfish have a dangerous electric charge, which one might equate with the ruler’s power as a judge. Today, mudfish are a local delicacy often found smoked on sticks, or occasionally they are used as a sacrificial offerings. Christie’s New York, ‘Important Tribal Art and Antiquities from the Collection of William A. McCarthy-Cooper’, lot 110, page 51, May 19, 1992.